Last week was Social Media Week 2011 in New York (and San Francisco). All week long, there were panels, round tables, mixers and networking events, hosted by the likes of CMJ, Pandora and Red Bull. I attended quite a few sessions, but the event that I got the most out of wasn’t even part of the official week’s events. 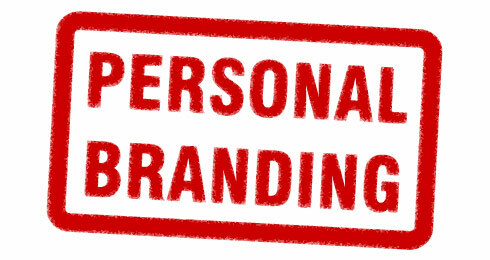 That event was Developing A Personal Brand, hosted by Harvey Nash’s Linkedin group, Network 4 Net Worth. A week ago, I posted about the presentation I intended to deliver with Sergio Lilavios, of WeHarlem. But Sergio was called away to London, and I didn’t want to bore my audience with slides that would invariably split their focus. When I arrived at The Hill, I realized my decision was spot on, as the monitors were at a neck-straining height. The room was also oddly configured, with large columns cutting off the floor at menacing angles. I spoke (over an extremely loud sound system, which The Hill refused to reduce for my brief presentation – someone will pay for that) to the eager attendees about tips for developing and protecting their personal brands. With my notes on my iPad, I talked strategy, provided examples, and sought to engage and interact with my audience. Prior to my presentation, I spoke to a few folks one-on-one, including Ross Staszak, Michael Blicharski, Ohene Cornelius, Natasha Ononogbo, and Jodine Jackson, all entrepreneurs in their own right, and personal brand incubators. Giving these mini-brand audits, I was privy to some really great ideas. All of you be sure to call me! Before we parted, I told them that I would follow up our session with tips they could take and apply to their own branding efforts. Tip No. 1: Own Your Brand. There is no one who knows or can promote your brand better than you. So own it. Recognize that you are your own best cheerleader and root for yourself! Tip No. 2: Be Passionate. There is no better endorsement for Brand You, then people seeing you do what you love to do. If you’re engaged in an activity you love, you exude confidence and competence. Boring is so unsexy! Steer clear from things that don’t resonate with you. No paycheck is worth compromising your spirit! Tip No. 3: Embrace Your Inner Entrepreneur. Name a famous employee. Don’t bother – you can’t. But I’m sure that you can run off a laundry list of famous entrepreneurs. You want to be among that company. If you think it, you can do it. There’s no time like the present to give your wildest ideas a test run. If you fail, so what? Try again. Tip No. 4: Listen Up! It’s important that you cultivate your ability to listen to what people want, and respond accordingly. People want to feel like they’re being heard. Resist the urge to talk first, knowing that people want your advice and expertise, and will be willing to listen to you if you give them the floor first. Tip No. 5: Use Technology. You are part of the digital generation. Your seamless use and application of technology to your daily life is an unprecedented and significant advantage. Rock it and separate yourself from the plodding technically unsophisticated masses. Tip No. 6: Network. You’re connected. Your personal and professional network is the singular strongest asset. People who already know you, will readily advocate on your behalf. Build up your network of Brand Ambassadors and let them do the work of promoting you. Tip No. 7: Guard Your Brand (from your own foolishness). Jealously protect your brand from being tarnished by anything that would reflect poorly. No drunk pics or videos on your Facebook page. Remember, once it’s out there, you can’t take it back. Tip No. 8 (I know I said seven) is to use me as a resource. It’s nice to have an expert in your corner, who you can call on when needed. Feel free to reach out to me at (718) 308-5730 or stephen.chukumba@gmail.com if you ever need advice. When I drew my presentation to a close, I had cards thrust into my hands, contact info entered into my iPhone, and meeting requests. The energy in the room was infectious, and I hope some of what I had to offer rubbed off.